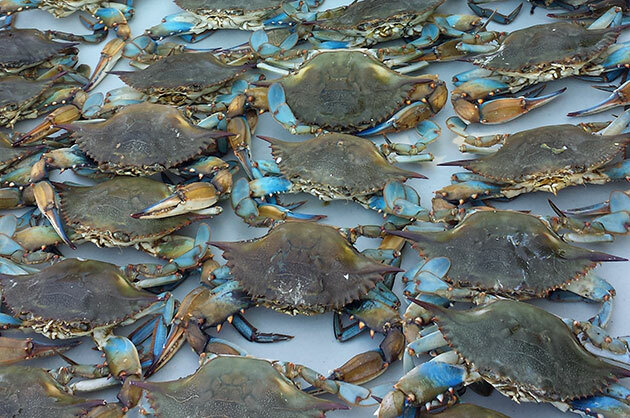 At my last wedding catering gigs I was asked to step out of my comfort zone and do something that I’ve never done before…Maryland Blue Crab. My response was, “You know I was born in Prince Georges County…” I normally stay away from seafood items for big events but I was up for the challenge. I researched what the entire experience should be like since the last Maryland crab boil was at a Filipino party (they add rice). 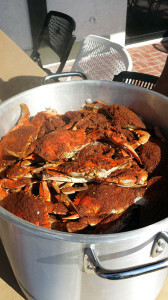 The basics for a Maryland crab boil are Maryland blue crab, old bay seasoning, and vinegar water with a hint of beer. Now I had to make sure I had the rest of the cooking equipment…I decided to go with tamales/seafood pots mainly because they were cheap and then I used my turkey fryer burner for the heat. The steaming process took a little longer than 30 minutes. It was about 45 minutes per pot. 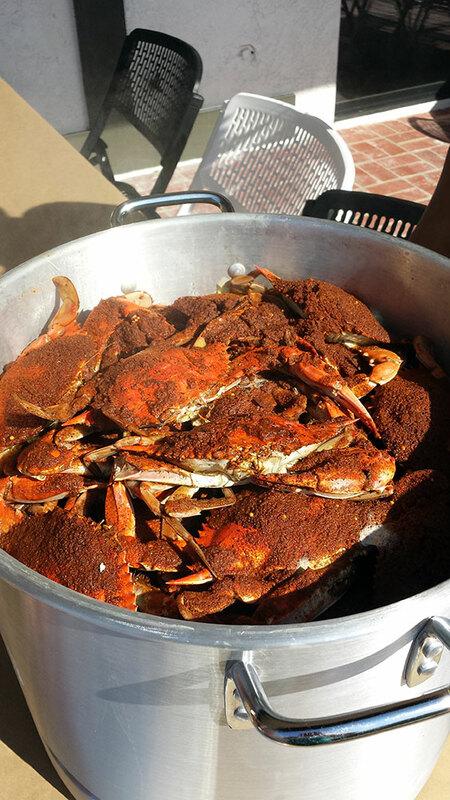 I’m thankful for companies like The Crab Place who can send you any number of Maryland crab. Layer the live crabs into the pot atop the rack. Sprinkle each layer liberally with the Old Bay mixture. The crabs should be sluggish because of having been on ice, but if they are testy, you can chill them out by throwing Old Bay on them (especially their eyes, apparently). Continue layering crabs and Old Bay mixture until the steamer is full, leaving at least 2” between the top layer of crabs and the lid. Cover and steam approximately 30 minutes, or until the crabs turn red. It is helpful to use a clothespin to clip the lid down so that the crabs cannot escape. *DO NOT steam any dead crabs. Just toss those. They can make you sick. Check to make sure they are alive by pulling a little on their legs. If they are alive they will usually pull back.